Please consult the following following general, annotated bibliography which includes the most significant works containing discussions on Anatolian hans, including the general historical context, structure, place in architectural development, decoration and construction. This bibliography is not exhaustive and seeks to list books and articles principally in Western languages, and does not contain the numerous Turkish-language texts and articles on individual hans which would be inaccessible to most English speakers and which are difficult to locate in libraries outside of Turkey. The list does not inventory theses which are currently being written on the subject, or general texts on Turkish or Islamic art (see Reidlmayer, below). For information concerning a specific han, please refer to the bibliography at the end of its listing on the web page. In addition, there are many online resources now available for consultation. For a complete list of all sources cited on this website, click here. Acun, Hakki, editor. Anadolu Selçuklu Dönemi Kervansarayları. Ankara: T.C. Kültür ve Turizm Bakanlığı Yayınları, 2007. Over 25 noted Turkish scholars join force here in this contribution to the corpus of literature on the Seljuk period and which provides a long-needed serious volume dedicated specifically to hans. This luxurious and graphically-appealing work is divided into several sections. It starts with a chapter providing background information on the social and economic life of the Seljuk period, followed by a section discussing current excavation and renovation projects. The next part is devoted to decorative elements, with many detailed photographs and drawings of carved stones. The book ends with a summary catalog of hans with plans and sparse descriptions, but regrettably, furnishes no photographs of each individual han listed. A substantial bibliography is included. Although entirely in Turkish and not exhaustive, this volume can be appreciated for its color photographs, plans, aerial views, detailed drawings and even images from Google earth. Sponsored by the Turkish Government publishing house, it is a sumptuous endeavor of 559 pages. (In Turkish). Altun, Ara. 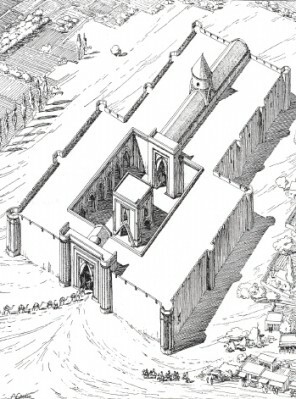 An Outline of Turkish Architecture in the Middle Ages. Istanbul: Art and Archeology Publications, 1990. A concise presentation of Turkish architecture up to the year 1300. Helpful for plans, its numerous black and white photographs and its rich bibliography. Contains an invaluable chronological fold-out chart of building types listed by date. Arık, Rüçhan. Kubad Abad: Selçuklu Saray ve Cinileri. Istanbul: Türkiye Iş Bankası Kültür Yayınları, 2000. Dr. Rüçhan Arık is a tireless scholar of impeccable standards, whose archeological work at the ruins of the Kubadabad Palace over the past 27 years has allowed the world to discover the richness of the art of the Seljuk period. This volume offers a panorama of the famous tiles found in the Palace, now housed in the Konya Karatay Museum. (In Turkish). Arık, Rüçhan & Oluş Arık. Treasures of the Anatolian Soil: Tiles of the Seljuk and Beylik Periods. Istanbul: Kale Group Cultural Publications, 2008. This work is an overview of the history of the tile production during the Seljuk and Beylik periods, and provides much background and insight into framework in which they were created. The work comprises excellent color photographs and articles by numerous scholars, including her husband Oluş Arık. The survey is published in Turkish accompanied by a flawless English translation. Although tiles were rarely used as a decorative element in hans, this volume will generate a deeper appreciation of the attention paid to Seljuk architectural decoration as a whole. Asatekin, Gül & Charlier, Georges et al, editors. Along Ancient Trade routes: Seljuk caravanserais and landscapes in Central Anatolia. Rekam-Lanaken, Belgium: Maasland Editors, 1996. A lavish presentation sponsored by HRH Prince Laurent of Belgium, this folio edition is based on a study of the geological, natural, cultural and historical values of the landscapes of Central Anatolia, and the relationship of hans to the environment as a whole. Includes essays on flora and fauna, vegetation, agriculture, trade routes and includes stunning sepia-tint photos. Includes rare, pre-restoration photos of the Oresin and Alay Hans. The poetry and the universal beauty of the birds, volcanoes, lakes, flowers and flamingos of Central Anatolian landscape is honored in this high-quality edition. Aslanapa, Oktay. Turkish Art and Architecture. New York: Praeger, 1971. This is the English version of Aslanapa's general survey, Türk Sanati. It provides a broad discussion of all eras and types of Turkish architecture and minor arts. Excellent coverage and photos. Over 2/3 of the book is devoted to architecture, and includes a fair amount of secular buildings, notably Seljuk palaces. Bayrak, M. Orhan. Türkiye Tarihi yerler kılavuzu. Istanbul: Inklap Kitabevi, 1994. Excellent catalog-raisonné vademecum of monuments and historical sites in each region of Turkey. (In Turkish). Bektaş, Cengiz. Selçuklu kervansarayları, korunmaları ve kullanılmaları uzerine bir öneri = A proposal regarding the Seljuk caravanserais, their protection and use. Istanbul: Yapi-Endustrie Merkezi Yayınları, 1999. A straight-forward, clear presentation of a selection of several hans, with many color photos and plans. The author discusses his plan for the restoration and reuse of these monuments. Includes an introduction with a very interesting set of maps relative to trade and travel routes of antiquity to the present (bilingual Turkish and English text). Patricia Blessing of Stanford University is a prolific young scholar who has produced an important study on the changes in Seljuk architecture which were precipitated by the Mongol conquest in 1243. She investigates the intertwined narratives of architecture, history and religion. Includes an extensive bibliography. Blessing, Patricia & Goshgarian, Rachel, ed. Architecture and Landscape in Medieval Anatolia, 1100-1500. Edinburgh: Edinburgh University Press, 2017. This title assesses and analyses medieval Anatolia from the perspectives of architecture, landscape and space. It looks beyond political structures and towards a reconsideration of the interactions between the rural and the urban, and an analysis between architecture, culture and power, and an examination of the region's multiple geographies. Bosworth, C.E. The New Islamic Dynasties: A Chronological and Genealogical Manual. Edinburgh, 1967, 1996. The indispensable guide to the dynasties of the Islamic peoples, now available on ebook format. Bosworth, C.E. (ed.) The Turks in the Early Islamic World. Aldershot: Routledge, 2007. This volume brings together a set of key articles, along with a new introduction to contextualize them, on the role of the Turkish peoples in the Western Asiatic world up to the 11th century. Covering the beginnings of the arrival of the military slaves to the Abbasid Caliphate in the 9th century, the tribal migrations of the Oghuz tribe and finally the establishment of the Seljuk sultanate, the discussions cover the geographical and environmental milieu of the steppes, the tribal confederations, and the role of the military. Cahen, Claude. Pre-Ottoman Turkey: A general survey of the material and spiritual culture and history, c. 1071-1330. New York: Taplinger Publishing Company: 1968. This work, first published in French in 1968 by the famed French professor of Islamic history at the Sorbonne, is considered to be the authoritative text on the period. It discusses history and the cultural, social and intellectual life of the Seljuk and Mongol periods. Contains maps, illustrations and an extensive bibliography of primary sources. A major historical text in the field of Islamic studies. Cahen, C. The Formation of Turkey: The Seljukid Sultanate of Rum: Eleventh to Fourteenth Century. New York, 2001. Translated from the French, this title offers important insight into the history of Turkey before the Ottomans. Canby, S. R & Beyazit, D. & Rugiadi, M. & Peacock, A.C.S. Court and Cosmos: The Great age of the Seljuqs. New Haven: Yale University Press, 2016. The catalog published in conjunction with the exhibition “Court and Cosmos: the Great Age of the Seljuks” on view at the Metropolitan Museum of Art, New York, from April 27 through July 24, 2016. A sweeping survey, first of its kind, of the artistic, cultural and technological achievements of the vast Seljuq Empire. Emphasis is on the visual expression of the worlds of science, medicine and technology. A two day seminar uniting the world’s Seljuk scholars was held in conjunction with the exhibit on June 10-11, 2016. Constable, Olivia Remie. Housing the Stranger in the Mediterranean World: Lodging, Trade and Travel in Late Antiquity and the Middle Ages. Cambridge University Press, 2009. Dr. Olivia Remie Constable is the Director of the Medieval Institute of Notre Dame University, and specializes in the interactions between Christians, Muslims, and Jews in the medieval Mediterranean world. In this study she compares and contrasts the Greek pandocheion, the Arabic funduq, and Latin fondaco, all hostelries for medieval Mediterranean travelers, and how they evolved into centers of trade between Muslim and Christian regions, with an emphasis on the the role of common economic interests in their development. Crane, H. G. “Notes on Saldjuq Architectural Patronage in Thirteenth-Century Anatolia”, Journal of the Economic and Social History of the Orient, 36 (I) (1992): 1-57. An impressive compilation of the inscriptions found on Seljuk monuments and a classification of the information contained in them: patronage, dates, architects, etc. Eravşar, Osman. Anadolu Selçuklu Kervansaraları (Caravansarais by Anatolian Seljuks). Konya: Selçuklu Municipality, 2011. Eravşar, Osman. Yollarin Taniklari (Witnesses of the Way). Eskişehir: Anadolu Universitesi Basimevi, 2017. A global endeavor under the coordination of Ibrahim Divarci, this project includes a comprehensive presentation of Seljuk hans (588 pages) as well as a series of 12 films of 30 minutes each relating the background of the Seljuk Turks and the way of life at the time. Stunning aerial photographs as well as the publication of 9 previously-unpublished hans (notably the Erenkaya Yikik Han) make this lavish publication a welcome addition to the corpus of literature on the subject. Dr. Eravsar, Dean of the Art and Architecture Dept of the Akdeniz University in Antalya, is head of the archeological digs of Merv and Alara and is the leading specialist in the field. Erdmann, Kurt. Das Anatolische Karavansaray des 13. Jahrhunderts, I, II. Berlin: Verlag Gebr. Mann, 1961; III, Die Ornamentik, 1976. A outstanding magnum opus of Islamic art history scholarship. Known primarily as a specialist in Turkish carpets, Erdmann turns his rigorous eye this time to architecture. This volume provides a detailed catalog raisonné of the Anatolian hans, with each han analyzed following a systematic presentation of criteria, and divided by building type. He proposes the classification system, still valid today, based on the absence or presence of a courtyard. Although newer research is investigating other schemes, the typology of Erdmann is solid. Contains a bibliography for each han. His wife Hannah is responsible for the presentation and analysis of the decorative elements. (In German). Erdmann, Kurt. Notizen sum inneranatolischen Karavansaray beobachtungen auf einer reise im Juli 1953. In Kunst des Orients II. Weisbaden: Franz Steiner Verlag, 1953, p. 5-29. This article summarizes the two scouting trips taken in July and in the autumn of 1953 by Erdmann and his wife. He visited 19 hans and includes a short entry for each one. The article is valuable for the old photographs it contains. It was the preliminary groundwork for his magnum opus above, and publishes for the first time his classification system for building types. (In German). Ertuğ, Ahmet. The Seljuks: A Journey through Anatolian Architecture. Istanbul: Ahmet Ertuğ, 1991. A visual treat for the eyes, this book is in folio format with a turquoise fabric slipcase and thick-bond ivory paper. This luxurious edition contains many drawings and photographs. The text is a more poetic approach to art and architecture than analytical, but is a valid presentation of the material. Ettinghausen, Richard & Grabar, Oleg. The Art and Architecture of Islam 650 to 1250. New York: Viking Penguin, 1987. This introductory text to Islamic art is a classic. As it focuses on the genesis of Islamic art, it is a valuable resource for understanding the antecedents of the Seljuk tradition. The chapter discussing Anatolian art is comprehensive. Francopan, Peter. The Silk Roads: a New History of the World. New York: Vintage Books, 2017. This young scholar, Director of the Centre for Byzantine Research of the University of Oxford, weaves a magic carpet of tales and hard facts to explore this mesh of routes which conveyed more than silk. Ideas, religion, political systems, books, philosophies, and manuscripts were also lugged in saddle packs from the East to the West along with spices and silk. Like Braudel, he reminds of the connections between time, space and cultures; and, like Edward Said, he sets out to show us that is in not only the West that has been a mover and shaker over history and the sole inheritor of the antique culture. He forces us to shift our focus to the other side of the world, and leaves us with a different slant on history full of details, insights and questions. Freely steps out from his familiar territory of Ottoman Istanbul to present a generalist overview of the Seljuk period. The highly-readable book is divided into two parts. In the first one, Freely offers a dramatic narrative history of the Seljuks and their successors, including their wars with the Byzantine Greeks, Venetians, Crusaders, Mongols and the Mamluks. In the second part, he proposes a traveler's guide to the major monuments and cities of the Seljuk heritage. There are unfortunately no images. Gabriel, A. Monuments turcs d'Anatolie, I, II. Paris: Ed. De Boccard, 1931, 1934. The explorations of the famed French art historian were made in the years 1927-1930 under the auspices of the Turkish Ministry of Public Instruction. His work is still considered today as one of the primary resources of fundamental importance for all later studies in the field of Turkish architecture. His stunning axonometric drawings have become classics. Contains numerous photos, drawings, plans and a bibliography. (In French). Of interest for research in archaeology, history, politics and travel, the books, and papers, and photographs of Gertrude Bell (1868-1926) have been made accessible by the Newcastle University Library. She traveled around the world twice, investigated archaeological sites throughout the Syrian desert to Asia Minor, and became a power force in the politics of the Middle East. She established the Iraq Museum in Baghdad and served as the Honorary Director of Antiquities in Iraq. She made trips to Turkey in 1905, 1907, 1909 and 1911. She photographed several hans, including the Ertokuş, Sultan Han Aksaray, Sari and Ak Hans. Guide bleu. Turquie. Paris: Hachette, 1961, 1965, 1969 and later. This famous series of travel guides are unparalleled for their comprehensive listing of sites "worth the detour". The older editions often contain information concerning the existence of a han that is not noted elsewhere. The text cited on the entries of this site is from the 1965 edition. Although there are now many other guide books to Turkey on the market (Rough, Berlitz, Insight, Eyewitness), the Blue Guides remain the reference. The 2001 edition is now a collector's item. (In French; English editions available). Hill, D. & Grabar, O. Islamic Architecture and its Decoration, A.D. 800-1500. London, 1964. A text of 88 pages by Oleg Grabar is followed by 527 black and white photographs by Derek Hill. An important iconographic resource. Hillenbrand, Robert. Islamic Architecture: Form, function and meaning. New York: Columbia University Press, 1994. Noted Islamic art scholar Hillenbrand of the University of Edinburgh presents a discussion of public architecture in the Middle East and North Africa from the medieval period to 1700. Included is a section on the han. Valuable for its axonometric drawings, plans and photographs. Hillenbrand, R. (ed.). The Art of the Saljuqs in Iran and Anatolia. Proceedings of a Symposium held in Edinburgh in 1982. Costa Mesa, CA, 1994. A total of 37 conference papers, published a dozen years after the conference due to the determination of Hillenbrand to bring them into publication. The volume provides substantial enrichment of the knowledge of the artistic legacy of the Turkic rulers of Iran and Anatolia in the 11-13th centuries. The wide range of topics cover archaeology, single monuments, ceramics, iconography, epigraphy and oral epics. Johansen, Else Marie. Rümselçuk Caravanserais of Anatolia. Part 1: architectural Research of six caravan stations from the 13th century; Part 2: Masons’ marks of Rümselçuk Caravanserais. Copenhagen, 2016. A study of six hans with an emphasis on the mason marks of their stones. Kafesoğlu, Ibrahim. A History of the Seljuks: Ibrahim Kafesoğlu's interpretation and the resulting controversy. Translated, edited, and with an introduction by Gary Leiser. Carbondale: Southern Illinois University Press, 1988. This is a translation of the Kafesoğlu's article "Selçuklular" from the Islâm ansiklopedisi published in 1964. It has the advantage of providing a compact survey of Seljuk history and civilization with a Turkish interpretation. The "controversy" refers to the dispute this article caused between Kafesoğlu and the other leading Turkish historian, Osman Turan, who dueled back and forth for years on their respective versions of history. Karpuz, Prof. Dr. Haşim & Kuş, A. & Dıvarcı, I. & Şimşek, F. Anadolu Selçuklu Eserleri. Konya: Selçuklu Belediyesi Kultur Yayinlari, 2008. Konya Selçuk University Professor Haşim Karpuz collaborates with three outstanding Konya photographers (see Kuş, below) to present high-quality, full-page color photographs of the major Seljuk monuments in Turkey, many of which have never been documented by photographs. This work was prepared as a highlight to the Conference on Seljuk Culture and Civilization hosted by the Selçuklu University and the City of Konya in October, 2008. This two-volume work presents the images in an alphabetical listing by city and each photograph is accompanied by a brief caption in both Turkish and English. Prof. Karpuz presents an introduction to Seljuk architecture at the beginning of volume 1, translated into English, and the volumes are accompanied with a DVD which pays tribute to the Seljuks and their achievements. Although the work includes a bibliography of the major sources for Seljuk studies, there are no plans of the monuments, nor maps. An achievement of the highest order, this 1,000 page work represented a major undertaking for the photographers, who worked for many months to capture these photographs. Kiepert, Richard. Karten von Kleinasien: meist nach noch nicht oder in kleistem Massaabe veröffentlichten Aufnamen in 24 Blatt bearbeitet. Berlin: Dietrich Reimer, 1902-1916. Extraordinary maps detailing the situation of Central Anatolia at the beginning of the century, often providing the locations of hans now lost. Konyali, Ibrahim Hakki. Abideleri ve Kitabeleri ile Konya Tarihi. Konya: Yeni Kitap Basimevi, 1964. This 1,200 page volume is known as “the Konya Book”. Despite lacking drawings and photographs, is incredibly rich in detail, providing lists of hundreds of monuments of all types and eras in Konya, with a brief description of each, with inscriptions when available. (In Turkish). Köprülü, Mehmed Fuad. The Seljuks of Anatolia: their history and culture according to local Muslim sources. Translated and edited by Gary Leiser. Salt Lake City: University of Utah Press, 1992. Discusses the important local primary texts, published and unpublished sources, chronicles, diplomatic documents, literary texts and lost chronicles written during the period. Köprülü, Mehmed Fuad. Early Mystics in Turkish Literature. Translated by Gary Leiser and Robert Dankoff. London, New York: Routledge Press, 2006. The first translation in English of this major work, originally published in 1966, is indeed a major event in Turkish studies. The book is one of the most important Turkish scholarly works of the 20th century, and is the masterpiece of M.F. Köprülü, one of Turkey's leading, and most prolific, intellectuals and scholars. Using a wide variety of Arabic, and especially Turkish and Persian sources, this book sheds light on the early development of Turkish literature, concentrating on mystical folk literature, through the lives of the poets Ahmad Yasaawi in Central Asia and Yunus Emre in Anatolia during the Middle Ages. Koy Koy Turkiye: Yol Atlasi. Istanbul: Iki Nokta Yayin, 2004. This Turkish road atlas (1:400,000) is an indispensable guide for detailed information on the regions of Turkey, in far greater detail than the average road map. Its small size is practical when doing field work. It is currently out of print but copies may be located in Turkish bookstores. With the advent of Google maps, many hans are now being documented with exact GPS locations. Kuban, Doğan. Anadolu-Türk Mimarisi Tarihi, Anadolu-Türk Mimarisinin Kaynak ve sorunlari, bazi 12. yuzyil yapilari ortaya çikardiği sorunlari kritiği ile beraber. Istanbul : Istanbul Teknik Universitesi Mimarlik Fakultesi, 1965. Kuban, Doğan. Selçuklu Çağinda Anadolu Sanati. Istanbul: Yapi Kredi Yayinlari, 2002. A high-quality (heavy paper, solid binding), lavish survey of Anatolian Seljuk art, with a predominance of architecture. Numerous prominent Turkish art historians have contributed articles to this general survey which covers all aspects of Seljuk art and architecture. Excellent color photographs, drawings and illustrations. An entire section is dedicated to hans (pp. 227-250), with a detailed presentation of the Karatay Han by Prof. Can Binan. The section has numerous photographs and a map showing trade routes and han locations. The 18-page bibliography is unrivalled. (In Turkish). Kuş, Ahmet & Dıvarcı, I. & Şimşek, F. Konya ve ilçelerindeki Selçuklu Eserleri. Konya: Selçuklu Belediyesi Kultur Yayinlari, 2004. This exceptional work by three outstanding photographers presents high-quality color photographs of the major Seljuk monuments in the region of Konya, many of which have never been documented by photographs, especially the small, single-domed mosques (mescits). The photographers reside in Konya, where they are active in local endeavors dedicated to the preservation of the region's heritage and architectural patrimony. There is no text, letting the photographs speak for themselves. The authors have also completed 2 other volumes of photographs of Konya's rich array of monuments of the later Beylik and Ottoman eras (Konya'daki Beylikler Dönemi Eserleri Fotoğraf Albümü (2005) and Konya'da Osmanlı Dönemi Eserleri Fotoğraf Albümü (2005). Lange, Christian & Mecit, Songül (eds.). The Seljuks: Politics, Society and Culture. Edinburgh: Edinburgh University Press, 2011. The various chapters in this volume cover a representative geographical spectrum from Central Asia and Persia, to Iraq, Syria and Anatolia. The book discusses the Great Seljuk and Anatolian Seljuks, and covers such topics as the ideological foundations and ritual expressions of Seljuk power, the mutual attitudes of the learned classes, the organization of space, and the relationship between nomads and settled people. The developments in religious thought, jurisprudence, literature and architecture are covered as well, bringing new contributions to the understanding of this period. Lloyd, Seton & Rice, D.S. Alanya. London: British Institute of Archaeology at Ankara (Occasional publications no. 4), 1958. Contains a foreword by Sir Steven Runciman, who, in his inimitable style, poetically describes the walls and cliffs of this striking harbor as a "chess-board placed on its end." The authors discuss the general history of this Mediterranean port, and then dedicate their efforts to a presentation of the Seljuk monuments of the city, with exquisitely-rendered plans, elevations, and cross-sections. Contains black and white photographs. A slim volume but an important one, as it draws and presents the Alara Han for the first time. McClary, Richard P. Rum Seljuq Architecture, 1170-1220: the Patronage of the Sultans. Edinburgh: Edinburgh University Press, 2017. Presents the major surviving monuments of the early period of the Rum Seljuks. Beginning with a political overview, it is followed by the most significant monuments, and a focus on the decorative portals of a wide variety of buildings. Presents for the first time in English the Kiliç Arslan II Palace in Konya, the minaret of the Sivas Great Mosque and the Sivas Izzeddin Keykavus I hospital and tomb. Lavish color photographs, illustrations, bibliography and a very useful gazetteer. Mecit, Songül. The Rum Seljuqs: Evolution of a Dynasty. London: Routledge, 2014. Former lecturer at the Dept. of Islamic and Mideastern Studies at the University of Edinburg, Mecit argues that it was ideology, rather than military success, which was crucial in the development of the expansion of the Rum Seljuks from a small band of warrior to a full-fledged sultanate. She examines the four distinct phases of the development of the Seljuks. Mecit draws on evidence of coins, monumental inscriptions and the few available Seljuk primary sources in Arabic and Persian. Meinecke, Michael. Fayencedekorationen seldschukisher Sakralbauten in Kleinasien. 2 vols. Tübingen: 1976. A catalog of the tile decoration of Seljuk buildings in Anatolia. Oğel, Semra. "The Seljuk Face of Anatolia: Aspects of the Social and Intellectual History of Seljuk architecture". This essay deals with Anatolian Seljuk art and architecture, as it is represented in the surviving Seljuk monuments in Anatolia, such as medreses, hans and mosques. It surveys the religious and cultural sources of inspiration that nourished the architects and artisans responsible for their construction, and describes the institutional setting of their achievement. Professor Ogel particularly develops the idea of the representation of the cosmos as an design inspiration (notably in the Great Mosque of Divrigi), and the role played by the patron. (in English, available in PDF on the Muslim Heritage site.). She is also the author of a volume on Seljuk stonework (Anadolu selçuklulari'nin taş tezyinati). Önge, Mustafa. "Caravanserais as Symbols of Power in Seljuk Anatolia." In: Jonathan Osmond and Ausma Cimdina (eds.) Power and Culture: Identity, Ideology, Representation. Pisa: Pisa University Press, 2007. pp. 49-69. Proposes the idea that the caravanserais built under the patronage of the Seljuk sultans in the first half of the 13th century were focused not only on trade but also to provide military security and to demonstrate the sovereignty of the Seljuk state. Peacock, A. C. S. Early Seljuq History – a new interpretation. London and New York: Routledge, 2010. This work investigates the early history of the Seljuk Turks, from their origins in the Eurasian steppe to their conquest of Iran, Iraq and Anatolia. This focus is on the transformation of the Seljuks from tribesmen in Central Asia to rulers of a great Muslim Empire. Arguing that the nomadic, steppe origins of the Seljuks were of much greater importance in determining the early development of the empire than is usually believed, this book sheds new light on the arrival of the Turks in the Islamic world. Peacock, A. C. S. The Great Seljuk Empire. Edinburgh: University of Edinburgh Press, 2015. Dr. Peacock of the University of Saint Andrews presents the first ever book to cover the entire Great Seljuk period. He provides a solid reference to the ancestors of the Rum Seljuks and the historical, cultural and religious factors that formed them. This is the definitive reference in the matter, and is written in elegant and entertaining prose. Especially helpful is Appendix III which contains a chronological outline. Peacock, A.C.S. & Nur Yildiz, Sara, editors. The Seljuks of Anatolia. London: I.B. Tauris, 2013. This series of essays by leading scholars in the field discusses the Anatolian realm in 3 sections: the dynastic identity and the Great Seljuk heritage, the royal household, and the role of Sufism at the court and in society. It brings a welcome and long-awaited addition to the work of Cahan and Turhan. Redford, Scott. Landscape and the State in Medieval Anatolia. Oxford: Archaeopress, 2000. A discussion of the Seljuk pleasure pavilions and gardens in the region of Alanya. A well-researched and documented study. Redford, Scott. “The Seljuqs of Rum and the Antique,” Muquarnas 10 (1993): pp. 148-56. A discussion of the Antique spolia material used by the Seljuks in their monuments, notably in the region of Konya. Numerous illustrations. Rice, Tamara Talbot. The Seljuks in Asia Minor. London: Thames and Hudson, 1961. A thorough and highly-readable presentation of the politics, social structure and arts of the Seljuks. Although dated, generalist and often with unreliable information, this text, one of the first to discuss the Turkish Seljuks, remains a valuable resource. Contains 80 photographs in black and white, 56 crystal clear line drawings and 2 maps. Especially useful is Appendix III, the first to present a tentative chronological classification of the Seljuk buildings in Asia Minor. Includes a 3 page discussion of hans (pp. 144-47). Riefstahl, R. Meyer. Turkish Architecture in southwestern Anatolia. Cambridge: Harvard University Press, 1931. Contains a thorough discussion of the Seljuk monuments of Antalya and Alanya, and the hans of the southern tier "Royal road": Evdir, Kirkgöz, Şarafsa and Susuz. Riefstahl is the man who put Alanya and Antalya on the “map” for Islamic art history. His research often reads as a travelogue, notably his charming description of arrival to Alanya via schooner. His work serves as a witness to the state of the monuments along the southern coast of Turkey before the arrival of the concrete building boom changed its horizon forever. Rogers, J.M. “Waqf and Patronage in Seljuk Anatolia and the Epigraphic Evidence”, Anatolian Studies, XXVI (1976): pp. 69-103. This well-researched and thorough article attempts to use the Seljuk foundation inscriptions of Anatolia to illuminate Seljuk practices in architecture and patronage. Runciman, Steven. History of the Crusades. Cambridge: Cambridge University Press, 1996. 3 volumes. No discussion of this period or the inter-influence of the Crusades and the Seljuks is complete without this major work on the Crusades, first published in 1951. It is a classic for its scholarship, its interpretation from a non-western viewpoint, and the distinctive poetic prose style of Sir Runciman. Sahinoğlu, Metin. Anadolu Seljuklu mimarisinde yazinin dekoratif eleman olarak kullanilisi. Istanbul: Turk Egitim Vakfi, 1977. Saladin, H. “Monuments seldjoukides d’Arménie et d’Asie Mineure” in Manuel d’art musulman. I. Architecture. Paris, 1907. (In French). A general discussion of Seljuk buildings in Armenia and Turkey. Sarre, F. Reise in Kleinasien. Sommer 1895. Forschungen zur Seldjukischen Kunst und Geographie des Landes. Berlin: Georgraphische Verlagshandlung, 1896. One of the first texts to list and discuss Anatolian hans, as well as to offer a classification typology. Sarre visited six hans (Goncali, Ak, Işakli, Eğridir, Obruk, Horuzlu and the Aksaray Sultan Hans.) He published here for the first time the inscription of the Incir Han. (In German). Taeschner, F. Das Anatolische Karavansaray. 2 vols. Leipzig, 1924-6. A pioneering study in the field. Tanman, M. Baha. Alaeddın'ın lambası: Anadolu'da Selçuklu çaği sanatı ve Alaeddın Keykubad = Aladdin's lamp: Sultan Aladdin Keykubad and the art of the Anatolian Seljuks age. Istanbul: Yapi Kredi Kültür Sanat Yayıncılık, 2001. M. Baha Tanman was the Curator-in-chief of this exhibition, held between October 3 to December 2001 at the Yapi Kredi Vedat Nedim Tör Museum in Istanbul. A graphically-appealing and colorful large-format book, it is most helpful for the numerous color photos of Seljuk metalwork and ceramics. (In Turkish and English). Texier, Charles. Description de l’Asie Mineur, faite par ordre du gouvernement français, de 1833 à 1837 et publiée par le Ministère de l’instruction publique ; 3 vols. Paris : 1839-1849. Charles Texier was a French architect, archeologist and historian who was in charge of several expeditions to Asia Minor and Mesopotamia in the mid nineteenth century. He wrote extensively on the fine arts, historic buildings, geography and geology of this area, but it is his superbly-rendered drawings, notably those of the walls of Konya, that have provided much information to later scholars. (In French). Thurbron, Colin. Shadow of the Silk Road. New York: Harper Collins, 2006. This is a particularly well-written travel journal of the author's 7,000 mile long journey along the "Silk Road" the so-called network of trade routes linking China with the Mediterranean. Thurbron does an excellent job of noting the objects, inventions and ideas t hat flowed along this "Silk Road", but this stylishly-written text is more a literary meditation on the strangeness of other places, landscapes, buildings and people. His prose is magnificent, and when you travel with him starting off in Xian, China, capital of Tang China, crossing the Taklaman Desert, through Kyrgyzstan, onto Iran and ending in Antakya, Turkey, you too, will feel as if you have experienced a bit of what the travelers using the Seljuk Hans must have experienced on their journeys. Turan, Osman. Selçuklular Zamaninda Türkiye: Siyai Tarih Alp Arslan'dan Osman Gazi'ye (1071-1328). Istanbul: Boğazici Yayinlari, 2002. First published in 1971, this definitive text on the history of the Seljuks by this is now in its 7th printing. It was written by one of the most exacting scholars Turkey has ever produced. (In Turkish). Turan, Osman. Selçuklular ve Islamiyet. Istanbul: Turan Nesriyat Yurdu, 1971 (pp. 93-116). A chapter entitled "Selçuklu Kervansarayları" provides much useful information, notably about the policy of the state as concerns the use of hans as postal stages, prisons, royal guesthouses for visiting sovereigns, places of refuge, government offices and later as dervish lodges (zaviyes). (In Turkish). Turcs Seljoukides d'Anatolie du XIe au XIVe siècle, Les : une anthologie des sources premières. Vol. 1. Les sources persanes: Ibn Bibi. Forward, translations and notes by Michel Balivet, Homa Lessan-Pezechki, René Mounier. Aix-en-Provence: Presses universitaires de Provence, 2017. This important work presents the cultural and historical context of the Seljuk Turks from the 11-13th centuries and proposes significant extracts from the Mukhtaşar of the historian Ibn Bibi which covers the period of the zenith and the decline of the Empire (end 12th-beginning 14th century). The French translation of the Mukhtaşar (the abridged Persian version of his memoirs, written in his lifetime in 1284-85), is followed by the original text in Persian. This is the first translation of Ibn Bibi's work in French and the second one in a Western language. A welcome addition to the field of Seljuk studies. (In French and Persian). Türk Dünyası Kültür Atlası: Selçuklu Dönemi = A Cultural Atlas of the Turkish World: The Seljuk Period. Istanbul: Turkish Culture Service Foundation, 1997. 2 vols. This bilingual set is a lavish presentation of the Turkish world at the time of the Seljuks. Volume 1 contains a description of all the Turkish groups from the Great Seljuks through the Beyliks; volume 2 discusses their art and culture. There are numerous maps and color photographs, as well as beautifully laid-out photographs and stunning graphics. Unfortunately, pesky typographical mistakes and a stumbling translation mar the material presented, but the set remains valuable for the comprehensive overview, photos and illustrations. There is a clear and well-presented map of han locations. (In Turkish and English). Turks: a journey of a thousand years, 600 to 1600. Edited by David J. Roxburgh. London: Royal Academy of Arts; New York : distributed in the U.S. and Canada by Harry N. Abrams, 2005. This magnificent catalogue accompanies the spectacular exhibition devoted to the artistic and cultural riches of the Turks, which was organized by the Royal Academy of Arts in London from January 22 to April 12, 2005. With contributions by numerous scholars and illustrated with over 370 works of art (mostly from the Topkapi Saray Museum and The Museum of Turkish and Islamic art in Istanbul), this book is a landmark publication. Chapter 3 covers the Seljuks and Artuqids of Medieval Anatolia, with a special section on the 14th c. paintings of Siyah Qalam. This chapter discusses the dating of covered section hans. (In French). Unsal, Behçet. Turkish Islamic architecture in Seljuk and Ottoman Times, 1071-1923. London, 1959. A solid, general overview with a concise, straightforward discussion of hans, with numerous plans. Organized typologically, the author not only deals with the standard building forms of mosques and medreses, but also houses, reservoirs, aqueducts, fountains and bridges. Although useful for its systematic approach and its outline plans, this is a very summary treatment of the subject. Watson, W. (ed.). The Art of Iran and Anatolia 11th to the 13th Century AD. London, 1975. A presentation of 12 substantial papers from the 4th Colloquy of Art and Archaeology at the SOAS of the University of London. This work by the famed historian of the Seljuks contains lectures delivered at the University of London, May 4-6, 1937. Although it focuses on the beginnings of the Ottoman empire, it includes two chapters on the history of the Seljuks of Rum. Wolper, E.S. Cities and Saints: Sufism and the Transformation of Urban Space in Medieval Anatolia. Philadelphia, PA, 2003. This highly-original and beautifully-presented work offers a study of the dervish lodges in several Anatolian cities. It traces the long and complex history of the spiritual retreats in medieval Anatolian Sufism, and how the Sufis made alliances that gave dervish lodges powers so vast that they were able to alter the layout of cities and serve as the means of forging a new social organization of cities. Yavuz, Ayşil Tükel. "The Concepts that Shape Anatolian Seljuq Caravanserais". In Muqarnas XIV: An Annual on the Visual Culture of the Islamic World, Gülru Necipoglu (ed). Leiden: E.J. Brill, 1997, p. 80-95. Ms. Yavuz presents a solid argument for the rejection of Kurt Erdmann's classification system for hans, as she believes that using the courtyard for the deciding feature of typology is questionable. She proposes a different criteria based on the functional analysis of shelter, with a classification of "Shelter only hans" and "Hans with Shelter and services." She has also published an extensive article (in Turkish) on concentric planned hans: "Anadolul'da Eşodakli Selçuklu Hanlari, ODTÜ Mimarlik Fakultesi Dergisi (2), 1976, pp. 187-204. Ibn Batuta. The Travels in Asia and Africa, 1325-54. Translated and selected by H.A.R. Gibb. New York: A.M. Kelley, 1969. 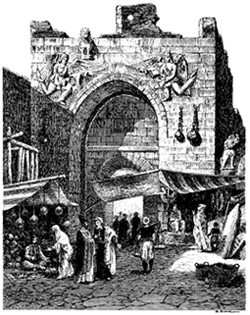 The Moroccan Ibn Batuta traveled in Turkey at three different times in the years 1330-1331 (or perhaps 1332-3) as part as his lifelong tour of the Islamic world in 1325-1354. Although his visit came after the Seljuk period, his "Rihla" (voyage) gives a fascinating glimpse into the Muslim world of the time. It is a comprehensive survey of the personalities, places, governments, customs and curiosities of the Muslim world in the second quarter of the 14th century. His exact itinerary in Anatolia at the time of the beyliks of the Hamitoğullari, Menteşeoğullari and the Karamans is difficult to parse, but the tales of his visits to Alanya and Sinop, as well as his description of the bazaar of Erzincan, make for fascinating reading. His description of th tekke lodges is valuable as well. He traveled to Alanya, Antalya, Burdur, Eğirdir, Milas, Denizli, Konya, Karaman, Aksaray, Niğde, Kayseri, Amasya, Gümüşhane, Erzincan, Erzurum, Tire, Izmir, Manisa, Bergama, Bursa, Iznik, Sakarya, Bolu, Dafranbolu, Kastamonu and Sinop. Few modern travelers have seen half as much as he! It can be supposed that the roads he traveled on were already established trade routes under the Seljuks. Although he must have seen many Seljuk monuments, he unfortunately does not provide any detailed descriptions of them. Al-Husain ibn Muhammad al-Munshi al-Jafari er-Rugadi, aka Ibn Bibi, wrote a great Persian prose chronicle entitled "al-Awamir al-alaiyya" sometime in the 13th c. In his role as the court historian of Alaeddin Keykubad, he was charged to document all the events of his reign, as well as the events immediately preceding it. His text describes the major events in Asia Minor and Cilicia for the period of 1192-1282. The original copy, held in the Istanbul Aya Sofia Library (no. 2985), has not been published. An abridgement of it, also in Persian, was completed by the author's brother, Amir Nasir al-Din Yahya. This abridgement was published by T. Houtsma as the 4th volume of the important corpus called Recueil des textes relatifs à l'histoire des Seldjoucides. Houtsma's copy, in Persian, is used by many historians as an almost unique source for the history of the Seljuks of Anatolia. The abridgement was made with great care and contains almost all the information of the original. A Turkish translation of Ibn Bibi was done by M. Nuri Gencosman (Anadolu Selçuki Devleti Tarihi, Ankara: Uzluk Basimevi, 1941), and another by Prof. Dr. Mürsel Öztürk in 1996 (El Evamirü'l-Ala'iye, Fi'l-Umuri'l-Alai'iye (Selçuk Name), Ankara: T.C. Kültür Bakanlığı). A French translation of many sections of the text was published in February, 2017. The original was written in the highly ornate and embellished style of the times, and adopts an almost hagiographic tone concerning Alaeddin Keykubad. It must be noted that Ibn Bibi's father did not arrive at the court in Konya until 1231, so Ibn Bibi's discussion of all events from 1192 to 1232 are based on hearsay and not direct witness. Despite this, several errors in dates, embellishments and omissions, the account can still be considered as an reliable representation of the era. Marco Polo. The Travels. Translated by R.E. Latham. Harmondsworth (GB), 1972. Polo traveled through Turkey in 1272 on his journey to China (1271-1295) during the Mongol-early Beylik period. Although he does not speak of the Seljuks, his travelogue is interesting for the discussion of the daily life and occurrences of the period immediately following. No detail escapes his very observant eye. His comments on the "beautiful rugs seen in Konya" have proven invaluable for oriental carpet scholars. Comnena, Anna. The Alexiad. Translated from the Greek by E.R.A. Sewter. Baltimore: Penguin Books, 1969. Anna Comnena is considered the world's first female historian and a major source of information about the reign of her father, Alexius I. Her works are full of details about daily life at court, the deeds of her family, the exchanges between the Byzantines, the western crusaders during the First Crusade, as well as details on the reign of Seljuk Sultans Suleyman ibn Kutulmuş and Kiliç Arslan I.
ArchNet is an international online community for architects, planners, urban designers, landscape architects, conservationists and scholars, with a focus on Muslim cultures and civilizations. In addition to its virtual library of books, journals and reference tools, it comprises an important database of thousands of photographs. The Museum without Frontiers. Discover Islamic Art. Internal web document. At the invitation of the Museum With No Frontiers, 14 countries from around the Mediterranean and the European Union (with sponsorship from the Euromed Heritage program) have agreed to collaborate on producing a virtual museum on the Internet that explores Islamic art and material culture in the Mediterranean region. This collaboration brings together a representative selection of Islamic objects, monuments and historical sites from Portugal, Spain and Italy on the northern shores of the Mediterranean; Morocco, Tunisia, Algeria and Egypt on the southern shores; and Jordan, the Palestinian Authority, Syria and Turkey on the eastern coast. Relevant Islamic collections from museums in Germany, Sweden and the United Kingdom complete the virtual museum’s collections. All these artifacts, monuments and sites cover the various Islamic dynasties and cultures of the Mediterranean region spanning some 1,280 years from 634 when the Muslim Arab armies first entered the Levant, to the fall of the Ottoman Empire at the beginning of the 20th century. The "Permanent collection" of the virtual museum includes a series of high-quality images of objects and architecture listed by country. There are maps, a searchable database and virtual exhibitions. The site is visually attractive, easy to navigate and inspiring in its content. The consortium’s aim is to promote deeper understanding between the peoples of Europe and their Muslim communities and the Islamic world on their doorsteps, and ultimately to celebrate the contribution of Islamic civilization to world culture and art. This laudable effort continues the vision of the historian Braudel, whose work was dedicated to investigating the economic and cultural interdependence of the cultures lining the shores of the Mother Mediterranean. This ambitious web project, sponsored by the Bilincini Geliştirme Vakfi (Cultural Awareness Foundation) and the Turkish Cultural Foundation, was created in 2008. Its goal is to furnish a complete catalog raisonné of Seljuk monuments and art. Clicking on the detailed map will enumerate a file on its Seljuk monuments located in each district, many of which contain photos and plans along with detailed information on the monument. Additional resources include an annotated timeline, lineage tree of the Seljuk sultans, excavation reports, terminology, coins, maps and more, all in a well-organized and easy-to-navigate format. (In Turkish). Reidlmayer, Andras J. "Guide to Research in Islamic Art and Architecture, Basic Reference Tools." Internet web document. This thorough guide, compiled by bibliographer Reidlmayer of the Harvard Fine Arts Library, presents a selection of the most useful reference tools for the study of art and architecture of the Islamic world. It is divided into two sections, the first organized by broad subject or artistic medium; the second by geographic or cultural region. An outstanding piece of bibliographic work. Flickr: The Seljuks of Anatolia. Internet web document. Flickr, the world's photo album, has opened a page for the internet community to post photos of Seljuk monuments. Approximately 200 thumbnail photos of the most famous Seljuk monuments may be viewed. Type "Seljuk" in the search box to discover photos of Seljuk mosques, medreses, tombs, hans and palaces. ©2001-2017, Katharine Branning; All Rights Reserved. No part of this site may be reproduced in any form without written consent from the author.